There are 7 Memory Care Facilities in the Oceanside area, with 5 in Oceanside and 2 nearby. The average cost of memory care in Oceanside is $4,561 per month. This is lower than the national median of $4,650. Cheaper nearby regions include Vista with an average starting cost of $3,931. To help you with your search, browse the 6 reviews below for memory care facilities in Oceanside. On average, consumers rate memory care in Oceanside 5.0 out of 5 stars. Caring.com has helped thousands of families find high-quality senior care. To speak with one of our Family Advisors about memory care options and costs in Oceanside, call (855) 863-8283. Oceanside is a city on the southern coast of California with a population of about 176,000, including a senior population of 14.3 percent. This area has 16 memory care facilities for seniors with cognitive conditions such as dementia and Alzheimer’s disease. Four of these facilities are in Oceanside, and the other 12 are in nearby cities like Vista. 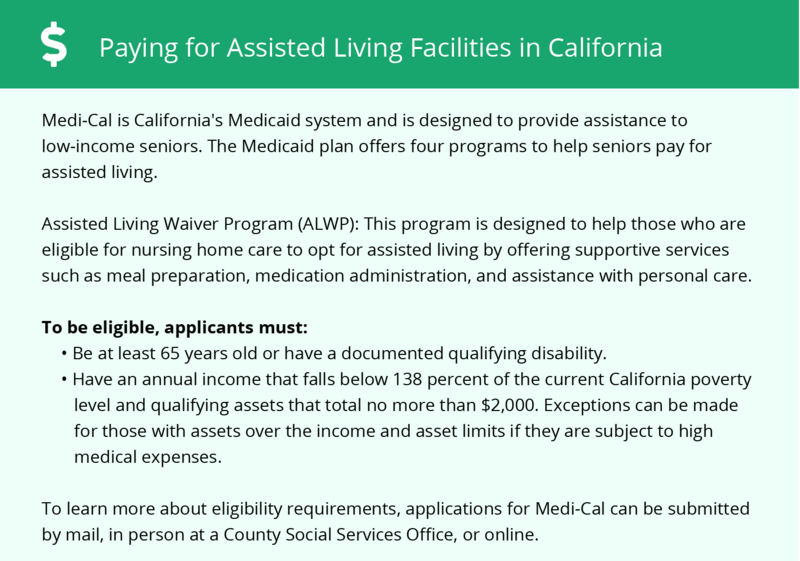 Memory care facilities are regulated by the Department of Social Services in California, which classifies them as assisted living facilities. Oceanside has a climate that senior citizens will find highly favorable, like most of southern California. Its rating on the Sperling Comfort Index is 77, compared to the U.S. average of 54. This index is based on a scale of one to 100, with higher numbers indicating a more comfortable climate. The primary factors for determining a location’s Sperling rating include the average number of days with temperatures in the 70s and the average humidity for that location. The cost of living in Oceanside is typical for southern California, meaning it’s much higher than many other parts of the country. The overall cost of living in this city is about 60 percent above the national average, and housing is particularly expensive at 2.86 times the average for the U.S. Transportation is also expensive at 21 percent above average, but health care is 15 percent below average. Developing a budget for someone in memory care in Oceanside should take the higher cost of living into account. Oceanside’s crime rate isn’t a cause for special concern for memory care residents. The rate of violent crime is 32.7 compared to the national average of 31.1, as measured on a relative scale of one to 100 with a higher score indicating a higher crime rate. The rate of property crime in Oceanside is 34.6, lower than the national average of 38.1. The air quality in Oceanside is comparable to the overall air quality in the U.S., so senior citizens with respiratory conditions should be comfortable when going outside most days. Oceanside has a rating of 61 on the EPA’s National Air Toxics Assessment (NATA), compared to the national average of 58. The NATA measures the risk of respiratory disease and cancer on a scale of one to 100, with a higher number indicating greater risk. Memory Care costs in Oceanside start around $4,561 per month on average, while the nationwide average cost of memory care is $4,800 per month. It’s important to note that memory care rates in Oceanside and the surrounding suburbs can vary widely based on factors such as location, the level of care needed, apartment size and the types of amenities offered at each community. To see a list of free memory care resources in Oceanside, please visit our Assisted Living in California page. 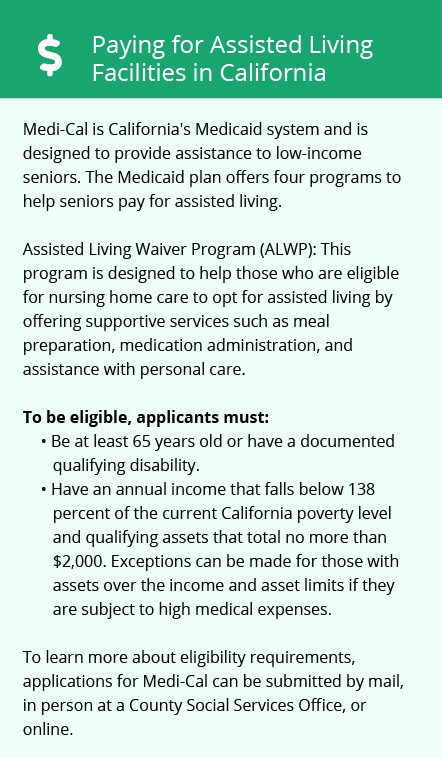 Oceanside-area assisted living communities must adhere to the comprehensive set of state laws and regulations that all assisted living communities in California are required to follow. Visit our Memory Care in California page for more information about these laws.